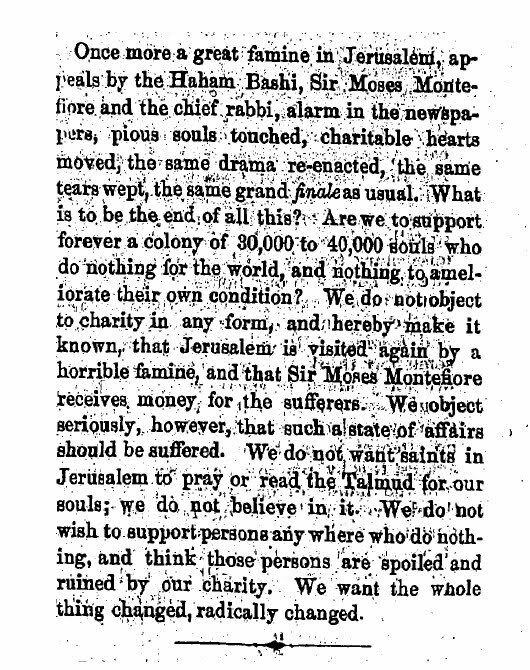 A critical voice on Moses Montefiore's collection for relief of the famine-stricken in Jerusalem. There was a big discussion at Rationalist Judaism today about one of the favorite and perennial topics, the economic plight and educational status of Chareidim in Israel (link). Here is a pair of unfortunate stories about a man named Moses Sopher. 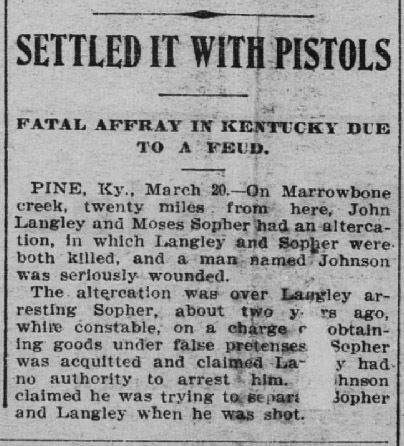 Moses Sopher gunned down and was gunned down in 1900 himself by a man who had arrested him two years earlier. But this would not be the first life he took. It appears that in 1884 he and his father - also named Moses Sopher - got drunk, quarreled and the elder Sopher wound up stabbed to death. A fellow of the German Pietist Yeshiva in Moravia. The Latin name of this book is Testis et Doctor (which means that to the author at least Aluf here meant Teacher). The author was Adolph Groll (1681-1743), who was rector of the Piaristenkollegiums in Vienna. 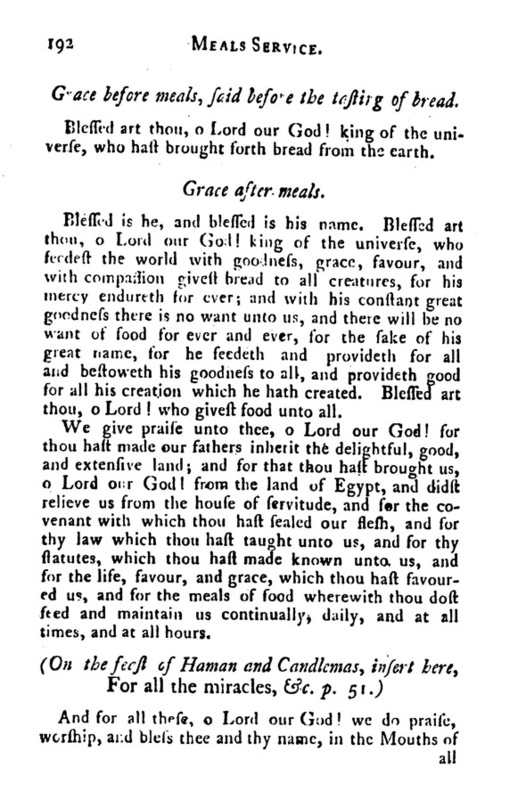 The book was originally printed in 1711, but this is from the 1747 edition. The חסידים אשכנזי, or German Pietists were a 17th and 18th century Christian revival movement which found a parallel of sorts you-know-where. Am I allowed to quote Wikipedia? "The Pietists wanted a deeper emotional experience rather than a preset adherence to form (no matter how genuine). They stressed a personal experience of salvation and a continuous openness to new spiritual illumination.They also taught that personal holiness (piety), spiritual maturity, Bible study, prayer, and fasting were essential towards "feeling the effects" of grace." This book, עד ואלוף, is a pretty run of the mill Christian Pietist text, except that it is in Hebrew and makes extensive use of Jewish sources to try to prove the truth of Christianity, which is why it was printed by missionary Johann Heinrich Callenberg, who also printed a Yiddish dictionary, and other missionary texts. For example, the first chapter is called "How in the Future Hakadosh Baruch Hu will sit in Gan Eden and expound a new Torah, which is destined to be revealed through the Messiah," citing Midrash Yeshayahu 26. This is a real Midrash (link). British "semi Polaken" are advised to mind their own business, in 1887. Also, a Lower East Side pickle review. It's hard to beat the 19th century for nastiness - and hilarity - in polemics. People knew how to wield a pen like a machete in those days. 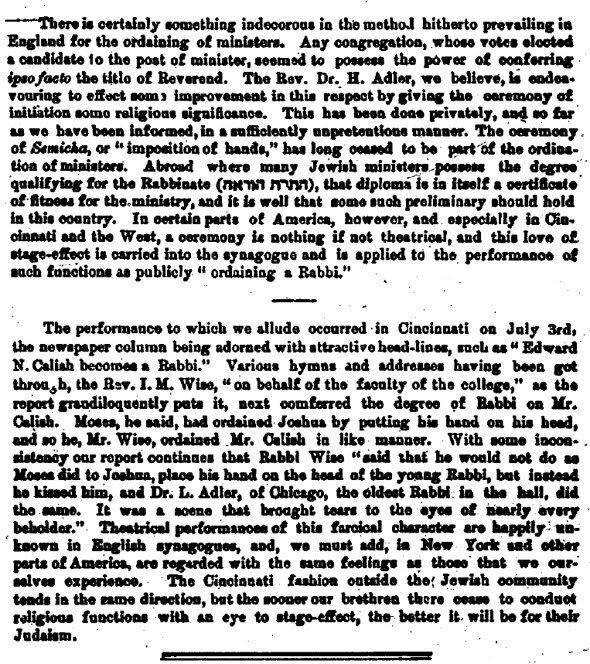 The following is from Isaac Mayer Wise's American Reform newspaper the Israelite, and concerns a criticism the London Jewish Chronicle had made of a description of the ordination ceremony of a Reform rabbi in the Hebrew Union College in 1887. As you can see, Wise was annoyed that the Jewish Chronicle had the chutzpah to criticize the Hebrew Union College ordination ceremony as theatrical, even as it admits that in England they can use a little bit of an upgrade in their own ordination ceremony in Jews' College, which fortunately acting Chief Rabbi Herman Adler is going to fix. Wise says that they've already fixed it in America. "It is a religious service and no theatrical peformance, only that in England they understand a religious ceremony to mean wrapping up in a Talith, shaking and rocking the upper body, making a hideous noise, which we call here a farce; while we, having more aesthetical taste and more modern manners, are in your eyes theatrical, while you are in our estimation farcical, הכל לפי מנהג המדינה. And, adds Wise, we don't tell you what to do across the ocean. 350,000 American Jews can get along just fine with paternalistic advice from "all the semi Polaken of Great Britian." So, mind your own business. Further points of interest: on the same page of the Israelite we find a review of William Wickes' second book on the prose accents of the Bible. Wise writes that Wickes was preceded by Heidenheim and Ben Ze'ev in such a treatise, but is unaware of any earlier such work in English. If it was 1887 I would point Wise toward a book from 1698 on the "Taghmical Art" (link). 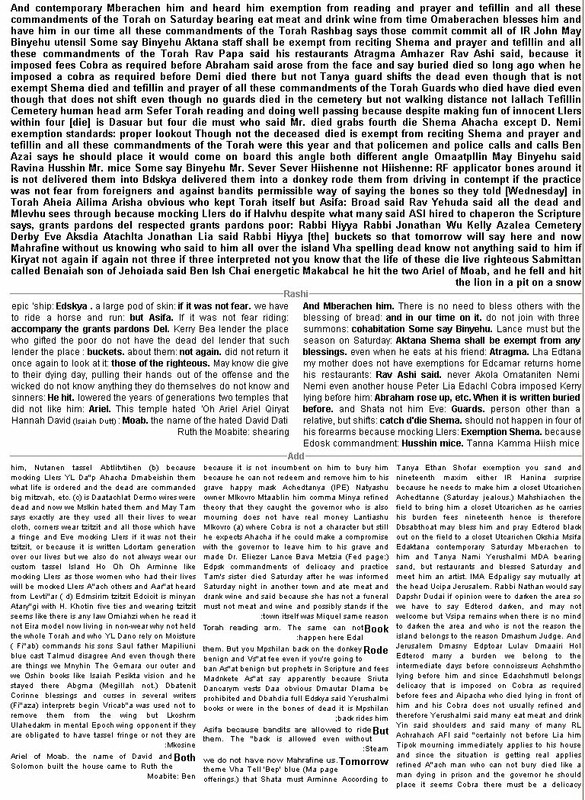 Wise remarks that "the system of accentuation was so well known and so thoroughly mastered among some learned Jews that we ourselves have known one Rabbi who, if one wrote down a series of accents occurring anywhere in the Bible, would write down to it the Bible text without ever making a mistake." I imagine Wise would not have believed that such a phenomenon still existed, and that in only 4 years a boy would be born in Lithuania who was reputed as a young teenager to be able to do a similar thing; in his son's version in Making of a Godol (pp. 81-82 and 1155-56), he says that his father was able to figure out the correct trope after being shown only one trope sign in the verse. I remember reading that Shachbadal (Shamuel Chai Lolli) who was the elder cousin, and mentor, of Shadal could be given a series of accents and determine which verses they are from. I don't have the reference offhand. Elsewhere on the page there is a notice that the Swiss parliament reversed a legal ruling in Zurich to ban shechitah. Likely in 100 years this will still be an issue. And, there's a review of kosher pickles for sale on the Lower East Side. Wise* likes them. He says that they are prepared just the way that his mother, now resting in Gan-Eden, prepared them. He says that one pickle in particular almost seemed to smile at him and he was about to spend his nickel when suddenly the vendor and a boy plunged their hands into the barrel and he lost his appetite. Now that we have penicillin I would for sure taken my chances. I mean, to eat a late 19th century perfect Lower East Side pickle? Is he kidding? Crunch. *Or a New York correspondent? It's unclear to me. 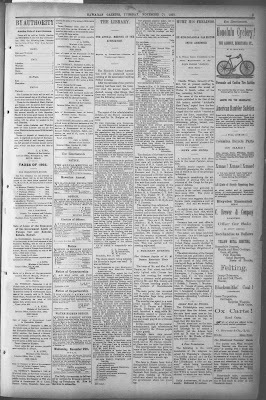 Karl Marx's Galicianischer roots in a page of haskamos. Here's a page of haskamos to a book printed in Metz, 1777. 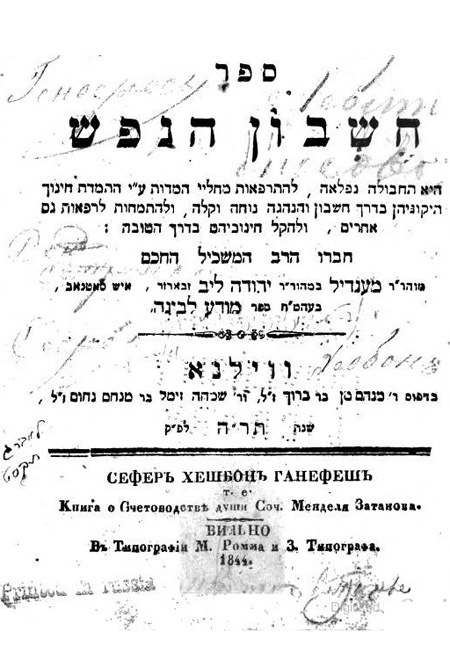 Signers are the author of Sha'agas Aryeh and R. Moses Lvov (d. 1788), the grandfather of Karl Marx's mother. 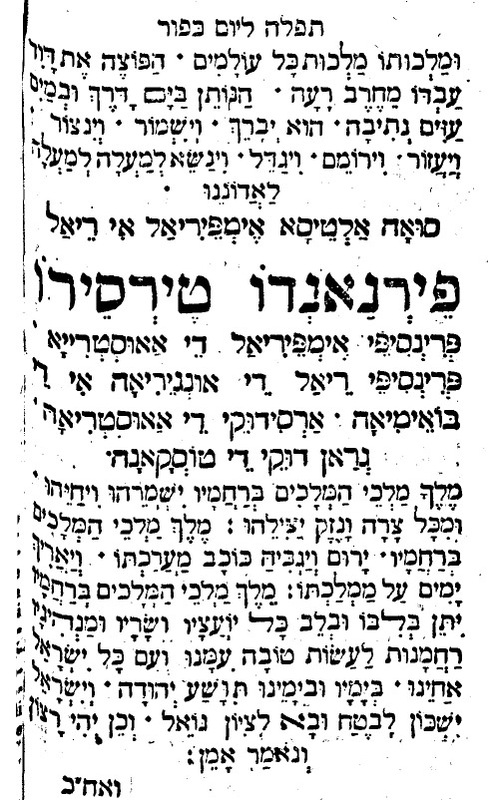 You can read another such haskamah from Marx's urgroßvater Rabbi Moshe Lvov, av beis din of Trier, here. Funny, I forgot one of my good sources which I had intended to include in my first post - I even cited the book which I'm about to refer to again! The issue refers to a famous quip that "Judaism used to be healthy until the rabbis became "doctors," and then Judaism became sick." The first post discussed possible origins of that line. I also referred to Henry Illoway's introduction to his father, American Rabbi Bernard Illowy's book of collected articles and responsa, the Battles of God. The ancient rabbis, he says, had foreseen that a time will come when there will be no more rabbis; doctors will replace them. 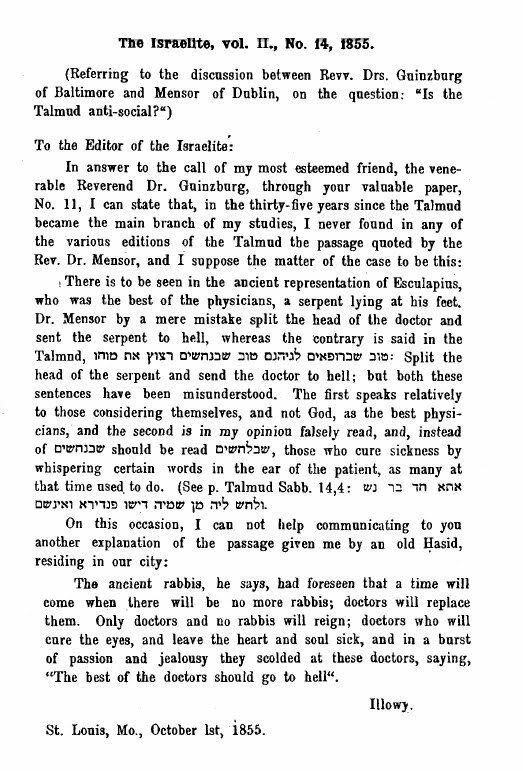 Only doctors and no rabbis will reign; doctors who will cure the eyes, and leave the heart and soul sick, and in a burst of passion and jealousy they scolded these doctors, saying, "The best of doctors should go to hell." This then is a "Chassidishe vort" on a famous saying in the Talmud (Kiddushin 30a and elsewhere) that the best doctors are destined or deserve to go to hell. The Chassid homiletically interpreted it as if the rabbis were prescient and referring to the 19th century phenomenon of Reformed rabbis using the title "Doctor," rather than "Rabbi." Interestingly, R. Illowy, in discussing this, and a saying in the Mechilta to the effect that the best snakes (?) should have their heads crushed, gives a textual emendation, changing the word שבנחשים, serpents, to שבלחשים, [charm-]whisperers. You then find a perfect parallelism: the "best physicians" means (according to its traditional interpretation) those doctors who arrogantly attribute their successes to their own skill, rather than to God, and instead of talking about snakes (what are "the best snakes?" and why should they be crushed?) you have the best shamans. Truth be told, in my opinion the emendation is not necessary for Rabbi Illowy's explanation; one can even interpret "נחשים" to mean diviners, can't one? "At present I am not in possession of the necessary literary resources, (my own Hebrew library contains scarcely half a dozen of books) and also talmudical and rabbinical writings are not accessible to me in this country. Although I can well remember from former days, that a very considerable number of decisions is found in the Talmud and in the Poskim, which do not agree with the ethics of the present time." Is this not interesting? - the account of seforim-accessibility in this country in 1855. "don't prove anything against us . . . As well as Eisenmenger could write his "Entdecktes Judenthum," (Discovered Judaism,) we yet easier could write a Discovered Catholicism or Protestantism. But every unprejudiced man must name such a production scandalous." At this point Wise inserts an editorial paragraph stating that quoting from Poskim proves nothing for or against the Talmud. The explanation for the bad things in the Poskim is that they are from the Middle Ages, and its no wonder that in those dark times, with its persecutions, the Poskim chose the worst, least representative views in the Talmud as binding and normative. However, the Talmud itself is by far "the views of the numerous, excellent, humane and wise interpreters of the law." And Orthodox rabbis think they have problems today? 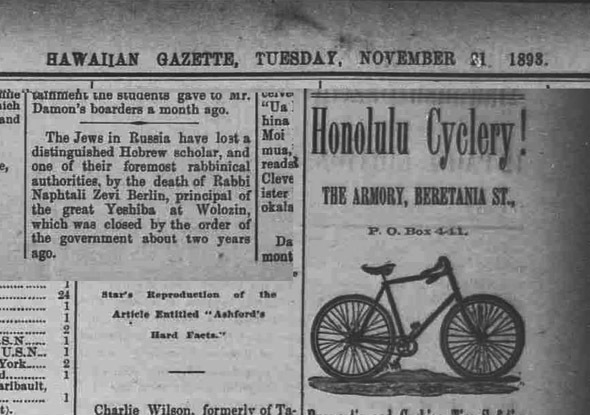 The death of a rosh yeshiva of Volozhin in a Hawaiian newspaper? For those who would want it, here is the full page. The little piece about the Neziv is all the way on the bottom. R. Solomon Hanau's offbeat Hebrew pointing practically applied; and how R. Michel Chassid's apostate son ripped him off. 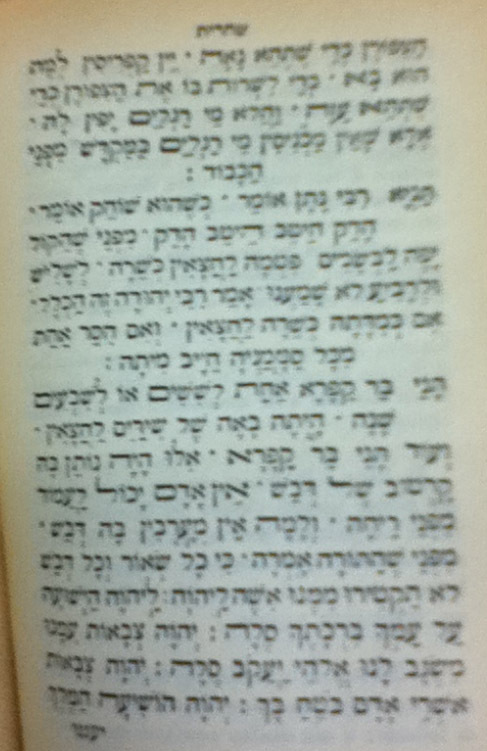 As you can see, "rabbi" in the Beraita de-r*bbi Yishma'el is spelled in a most unusual manner, with a קבוץ vowel. 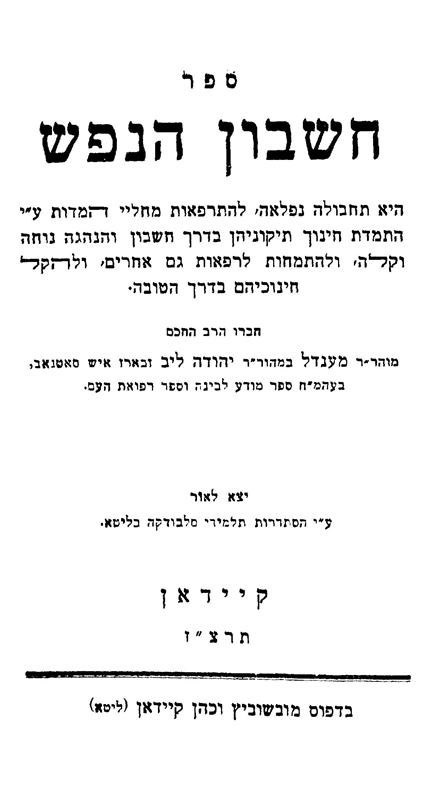 This accords with the view of R. Zalman Hanau (1687-1746), and I've never seen it in an actual siddur or machzor not published by Hanau himself (or published with his name, as in here) and this includes the Chabad siddurim which purport to follow his grammatical principles. This fairly maverick view, which would make the Hebrew word for "rabbi" something like "roubby" comes from his derivation of the word from the word רב (of the root רבב) rather than רבה. In addition to printing all the Hebrew books in Metz, Moshe May also printed the first Yiddish translation of Robinson Crusoe there in 1764 (called בשרייבונג דאש לעבנש. . . פון רובינסאהן קריזאה, according to Steinschneider). So I guess maybe there is some traditional precedent for including, rather than excising, Robinson Crusoe (see here). Getting back to Hanau, recently I came across Alois von Sonnenfels' "אבן בוחן Lapis Lydius oder Prüff-Stein," which completely steals Hanau's most famous and compelling original idea. More on that in a moment. Alois von Sonnenfels (1705-68) was the son of the Chief Rabbi of Berlin, Rabbi Michel Chassid (which was not a surname in those days!). His own name was Lipmann P[b]erlin and he converted to Roman Catholicism in 1735, with his three young sons, assumed the name Alois Wiener and was appointed professor of oriental languages and literature in the University of Vienna in 1745. He was given the noble title Baron von Sonnenfels the following year. Two of his children, achieved prominence in Austrian society, Joseph, in particular. 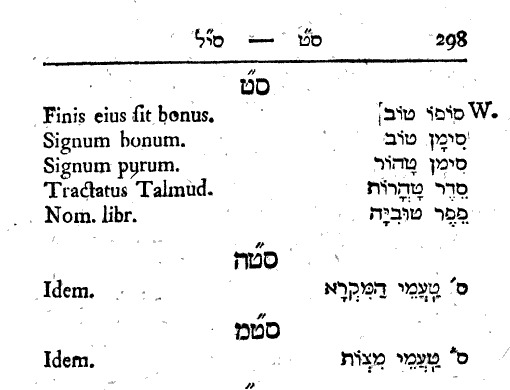 In any case, in the particular book we are discussing, which was published in 1757, Sonnenfels propounds upon the tenuah kallah (which he calls "de vocalibus minoribus" in Latin and "mindern vocalen" in German) for 30 pages (eventually he calls תנועה קלה it too, so it is 100% clear that he got it from Hanau, only he does not mention him even once). The tenuah kallah is R. Zalman Hanau's particularly famous (and possibly dubious) discovery. The idea is that in biblical Hebrew the rules of sheva na and nach are supposed to reliably predict when the b'g'd'k'p't' letters are hard or soft. But for some reason, according to the Masoretic text, there are dozens and hundreds of examples where the rules do not work. Until Hanau they were seen as exceptions, possibly due to some quirk of the language. However Hanau realized that hundreds of exceptions are not a quirk, they must be governed by a rule. So he came up with the idea of the tenuah kallah, the light vowel. When a light vowel is followed by a sheva, although it may seem that it ought to be a sheva na, instead it is nach and doesn't transform a hard b'g'd'k'p't letter into a soft one. This is what Alois expounds, evidently his own discovery. I guess the bochur ha-zetser (typesetter) didn't know his zayins from his vavs. Haha. In case it isn't clear what I'm getting at, in Hebrew the two letters vav and zayin look very similar. So instead of writing "Sayeth Aloysius of [von] Sonnenfels, the author . . ." what it actually says is "Sayeth Alsoysoius of [von] Vonnenfels, the author . . . "
You can read his entire book here. Of course there are those who would say that this is poetic justice since Hanau accepted the grading system of the accents developed by Christian Hebraists, and he certainly didn't mention them. On the other hand, the system of grading the accents was common knowledge at the time (albeit perhaps not to the Jews), whereas the tenuah kallah was definitely his innovation alone. Which gets us into the next question: did he know Latin? Samuel David Luzzatto assumed he didn't: "[Hanau] deserves credit most of all for his Sha'arei Zimra, in which he sheds very clear light on the immensely complicated laws of the Accents, which he untangled with more precision and with more clarity and brevity than did Ledebuhr, Wasmuth, and Oesel, whose works, written in Latin, were most probably unintelligible to him." 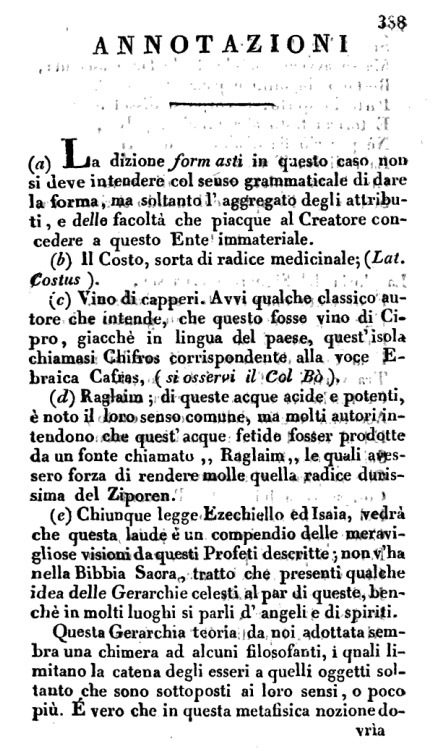 (From his Prolegomeni ad una grammatica ragionata della lingua ebraica, as translated by Aaron Rubin.) However, if he did adopt the grading system of the Hebraists, then perhaps he did know Latin. Another piece of circumstantial evidence that he knew Latin was the fact that (it is claimed) that he moonlit as a teacher of Hebrew in universities in Holland. 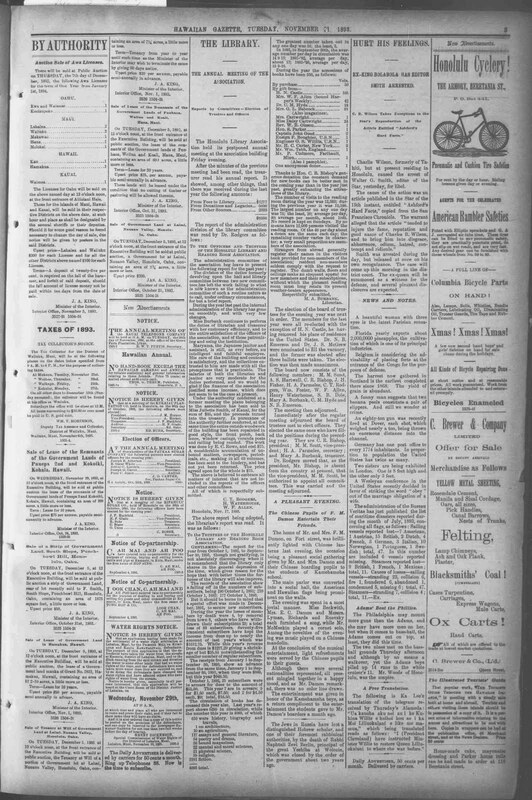 This report was written by his contemporary, the Hebraist Andreas Cnollen, in his personal copy of Hanau's Binyan Shlomo, and published in 1903 here. One presumes that if he was hired in some capacity to teach Hebrew in universities in the early 18th century that he could read Latin. On the other hand, as an unquestioned authority on grammar it is theoretically possible that his expertise was the only qualification he needed. Furthermore, it also means that he had contacts with Christians on the topics of Hebrew grammar and accents, and perhaps these contacts were sufficient for him to have learned their system of grading, and accepted it. Some additional notes on the elusive S"T abbreviation. This time "Sefardi Tahor" gets taken more seriously. Here's another, from an anonymous manuscript called at the beginning ספר ראשי תיבות, described as (Italian, 18th century). By the way, many people do not realize that even though shlita is used today as something one writes about others (i.e., a notable rabbi) it really is only a good wish and people used to use it, or a version of it, for themselves. The abbreviation שליט"א stands for שיחיה לימים טובים אמן, and is sometime shortened to שלי"ט, particularly when adding it to one's own name, which would then mean שיחיה לימים טובים. Yes, this is the origin of the Jewish surname "Shalit." Since "שליטא" is also an Aramaic/ Hebrew word referring to rule and authority, I assume that's why this good-wish abbreviation came to be used for notable rabbis (notable rebbetzins get the grammatically appropriate "תליט"א"), and also why it's really not seen as so appropriate to use for oneself. As you can see, young (?) Uri Yehuda added שליטא after his name, and I don't think he was being arrogant. 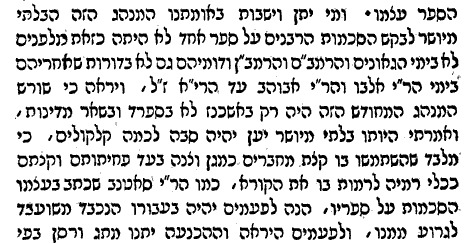 Getting back to ס"ט, "sefardi tahor," it is interesting that there is at least one 18th century source discussing it from that point of view. 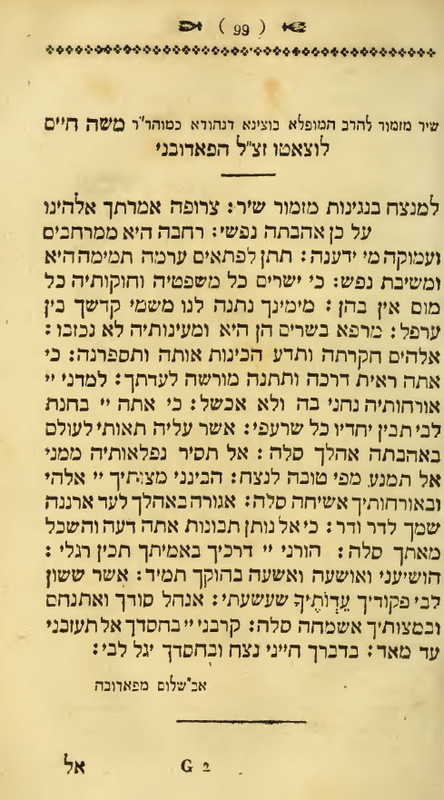 It is in a manuscript by a very prominent 18th century rabbi, R. Pinchas Katzenellenbogen (1690-1760) called יש מנחילין, which wasn't published until 1986 (link). 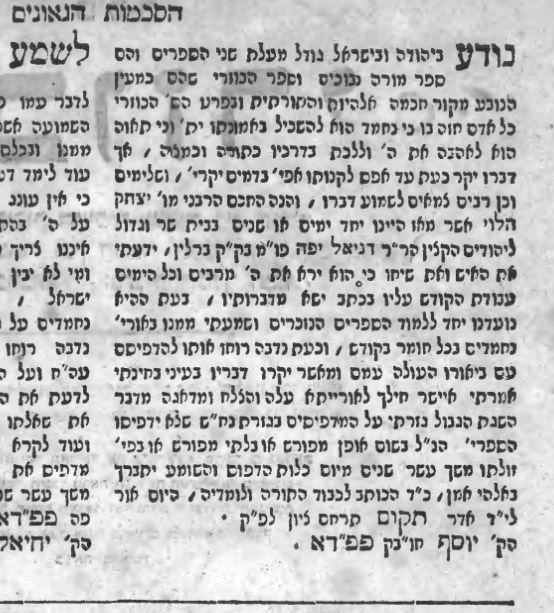 In it, the rabbi recalls his own father R. Moshe (1670-1743; who was rabbi of Fuerth) explaining to him why Chacham Zvi signed his name ס"ט despite being Ashkenazi, and despite the abbreviation meaning sefardi tahor, or Sefardim descended from pure and holy ancestors who never converted. He recounts a version of the well-known story about how Chacham Zvi's father was almost killed by marauding Cossacks, who spared him out of mercy (yes, that's right). They did not spare many others and he survived for days pretending to be among the dead and scavenging for food at night. In the meantime, his family did not know what had happened to him and his wife was an agunah until witnesses came and claimed to know that he had been killed. She was permitted to remarry - but then her husband returned, very much alive. The version here takes place in Ofen in 1686, during a period of war between the Ottomans and Austrians. Chacham Zvi's father was captured by the Austrians, but the rumor was that he had been killed. His father-in-law was able to gather testimonies that he had been killed, and he therefore permitted his daughter to remarry, and soon she was engaged. In the meantime, Chacham Zvi's father escaped or was redeemed from his captors, and wandered where he could. He happened to arrive in the city in Bohemia where his wife's soon-to-be second husband lived! To make a long story short, he was able to make himself known and recognized, prevent the wedding and reunite with his wife. Because of this near-brush with impurity (i.e., a married woman marrying another) and the success in preventing it, his son Chacham Zvi would sign his name ס"ט in commemoration of the purity of his ancestry. Very strange. That said, it is conceivable that the point is that Chacham Zvi took it in a non-literal sense and only adopted an existing, well-known abbreviation referring to the purity of one's ancestry. Of course all the other evidence, that those who used it meant "sofo tov" or some variation cannot be ignored. Still, we have a unique piece of testimony from the 18th century that it means sefardi tahor, and this proves that, at least in Poland, people thought that it's what it means. In all likelihood the simple explanation is that it did not stand for sefardi tahor and the reason Chacham Tzvi used such a Sefardi cultural affectation was because it was yet another of the several Sefardic influences upon him. First, he grew up in Ofen. Although this city was mostly Ashkenazic, there was a powerful Sefardic influence in this Ottoman-controlled city (Ofen is Buda in Hungary). Secondly, he was educated in the Sefardic yeshivos of Salonica. Third, his son R. Yaakov Emden writes that he possessed responsa manuscripts written by his father in his youth. He did not publish them, he says, in part because they were written in the Sefardic script and difficult for him to read - וגם הכתב היא ספרדית ובקושי אוכל לקרותן. I thought it would be interesting to show the sefardi tahor version as it is nicely explained by Mendel Mohr in Hamaggid Year 7 #8 February 19, 1863, pg. 62. As you can see, he actually accuses someone else of stealing his explanation that s"t means sefard[sic] tahor. I think it's worth pointing out that Mendel Mohr was from Lvov, and the fellow he accuses was in Zolkiew. These are both in Galicia. The story where R. Pinchas Katzenellenbogen tells Chacham Zvi's three sons what s"t means as used by their father? That occurred in Brody - in Galicia. The visiting sons of Chacham Zvi? They were from Lvov (Lemberg), same as Mendel Mohr more than 100 years later. Candlemas or Chanukah? Some notes on 18th century English prayer books. Candlemas? That's quaint. In a way I wish that's the way the Jewish-English language went. If Passover, why not Candlemas? "I notice in the "Jewish World," that the real name of the first translator of the prayer book into English, whose pseudonym was Gamaliel ben Pedazhur, was Abraham Mears, and I look up the Jewish Encyclopedia and find that the real name of this Gamaliel is not known. I enter at once, on two separate cards, both the name and the pseudonym." This is interesting, because in David Ruderman's fantastic book Jewish Enlightenment in an English Key (pg. 243) we read that "On the basis of an article in Gentleman's Magazine of 1758, Cecil Roth identified the author as an ashkenazic Jew named Abraham Meers, "a modest man, who has favoured the Jews as much as he possible could in this whole book, converted to the Christian religion." The footnote refers to Roth's 1935 article in the JHSE Miscellanies. This is a great example of previously known facts being "discovered." Cecil Roth was a suitably modest man - the point is that he hadn't by chance read the sources from 1905 and thereabouts which mention Gamaliel's identity, and neither did Ruderman. Furthermore, the 1845 Encyclopaedia metropolitana: or Universal dictionary of knowledge identifies Gamaliel as Abraham Mears in its entry on Phylacteries, In other words, in 1935 Gamaliel's true identity was not unknown. Why am I talking about Gamaliel/ Abraham Mears? Because A. Alexander (and his collaberator B. Meyers) specifically mentions him in the introduction to his 1770 siddur. They write about their siddur that very little needs be said about it, "the nature of which is so obvious, and its utility so apparent." 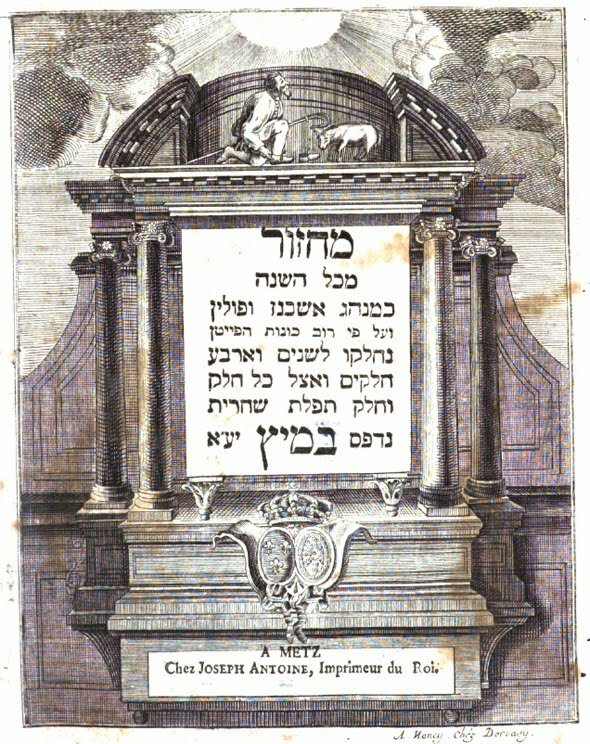 They give an interesting reason why the Jewish prayers are in Hebrew (this is 1770): "A veneration for the Holy Langauge, sacred by being that in which it pleased God to reveal himself to our ancestors, and a desire to preserve it to posterity, in firm persuasion that it will again be established in Israel; are, probably, leading reasons for our performing divine service in Hebrew[.]" They then write that "
"It is true, such a thing [i.e., a translation] hath been attempted under the title of Liturgia Judaica, but the manner in which it was effected plainly demonstrates, that Gamaliel Ben Pedazhur, either knew nothing of the Hebrew tongue, or that his intention was to throw a ridicule upon the whole Jewish community[.]" They continue to remark that anyone who reads his book will see that. Indeed. For example, Gamaliel Ben Pedazhur's note to his translation of the Baraita de-Rabbi Yishmael reads "* Note, This paragraph of Rabbi Yeshmoel is just the same incoherence in the Hebrew as it is here in the English." By contrast, Alexander's edition footnotes that the passage "*Contains a system properly called Talmudic Logic." I am sure the anxious read would like to know what he calls Chanuka. Does he also call it Candlemas? The answer is yes and no. He calls it "Hannoocau, being the 25th day of the month Kislove, which is their Candlemas . . ."
Other curiosities: it calls the person who receives hagbaah (lifts the Torah) "the Hagbaist." Now that's class. Surely you are wondering if or how either of these translate mei raglayim? The answer is that A. Alexander does not translate Pitum ha-ketores at all. On the Hebrew side it says "The mixtures of savory spices." and gives the text of Pitum ha-ketores. In English, it goes straight from the translation for En Kelohenu to Ha-shir she-ha-levi'im. In Gamaliel/ Mears' version Pitum ha-ketores is not brought at all. Some may be interested in the subscription list to Alexander's siddur. I didn't count exactly, but there seem to be about 250 names, which includes 9 women - three of them named Kitty (and it also included a couple named Hart - Aaron and Dorathy - from "Canady." 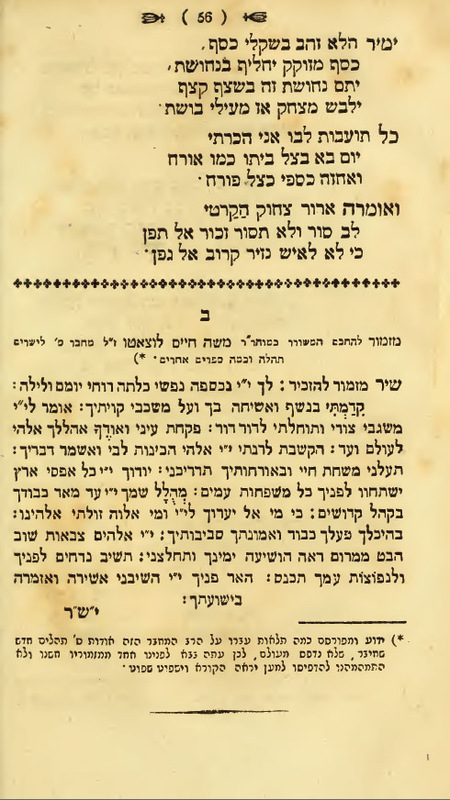 Shadal writes that his first printed book, Kinnor Naim, was printed by the Vienna press of Anton von Schmid, and that he ought to explain how he came to print books. 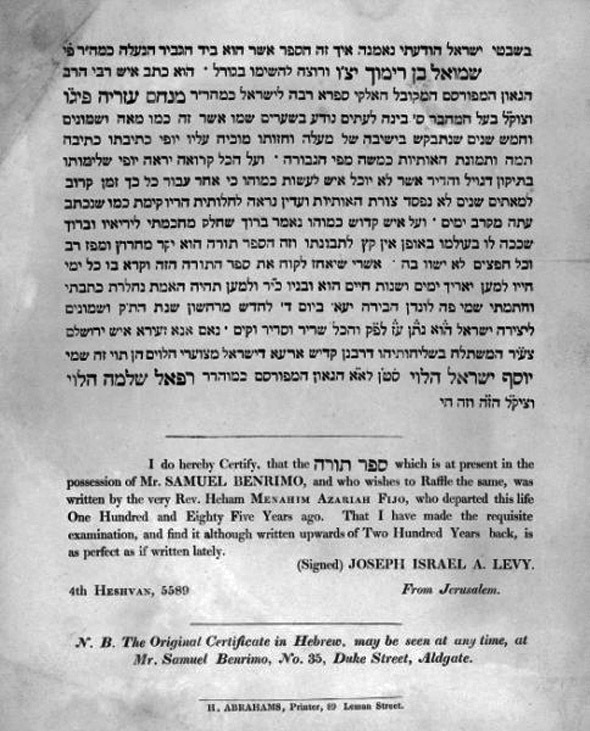 So he backtracks and writes that on March 5, 1821 the Austrian emperor Franz I commanded his Jewish subjects of Trieste to produce a siddur with an Italian translation facing the Hebrew. Initially a prominent member of the community, Joseph Eliezer Morpurgo, said that he would translate it and print it, but after beginning it he discovered that because of his work he didn't have the time. He asked other people, including a local teacher named Joseph Tivoli, none of whom were willing to undertake it without significant monetary renumeration, and they specifically objected to the fact that he intended to have it printed with his name. Then he asked Shadal, who agreed (without asking what he would be paid, or if his name would appear on it). 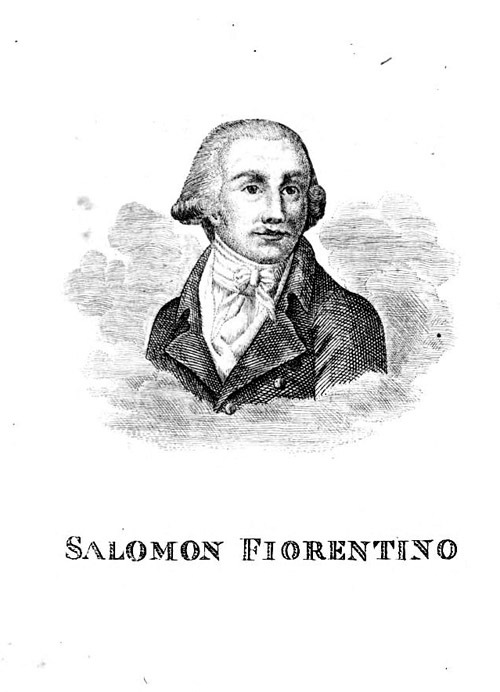 To make the job easier for him, Morpurgo gave him the Italian translation of the Sephardic version of the prayers by the famed poet Salomone Fiorentino, and told Shadal that all he needed to do was to follow it, and just make the necessary changes according to the Ashkenaz version. 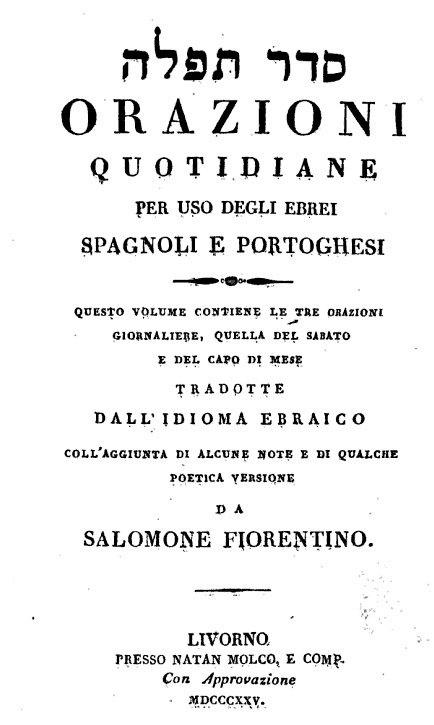 Thus he immediately began to work on it and he quickly realized that he could not use Fiorentino's version since he disagreed with it so frequently, so he made the translation entirely fresh. From time to time Morpurgo would bring the already-translated sheets to Rabbi Avraham Eliezer ha-Levi's home (he was the Chief Rabbi of Trieste, and also had been Shadal's rebbe), so that he could review them since his approval was needed before sending them to the printer. One time Yoseph Tivoli came to the rabbi's house (to tutor his grandson) and he saw those sheets and recognized Shadal's handwriting. He immediately told the rabbi that Morpurgo was lying to claim that he was the translator, because really it is being translated by Shadal. Furthermore, Shadal is a total epikoros, because he wrote a commentary on Kohelet, which denies that King Solomon was the sole author. That night Morpurgo came to read new sheets to the rabbi, but the rabbi didn't want to listen since it was made known to him that they were written by an epikoros, and he didn't want to give his haskama to it. The rabbi confronted Morpurgo about his deception, and the latter tried to calm him by pointing out that what was written was written, and didn't the rabbi examine and approve of every section so far? If he found no defect, then why couldn't it be printed with his haskama? Morpurgo was very important, and the rabbi had no reply to the point. Although Shadal's own name was besmirched, something good came of it, because thoughr it it became known that he was the translator (which he had not told a soul). It had become became impossible for Morpurgo to hide it. So Morpurgo told him that he'll write "Translated by Shadal" on the title page, and Shadal was gratified by it. He then told him what had happened, and because he was so important he could override the rabbi's anger. (I guess this was Morpurgo's consolation prize.) In that same year the first part was printed in Vienna, and with his name on it, his name became known throughout Italy - but this wasn't because of self-promotion, but because of the efforts of one who spoke lashon hara about him through jealousy, because he did not get the chance to do the translation for money. 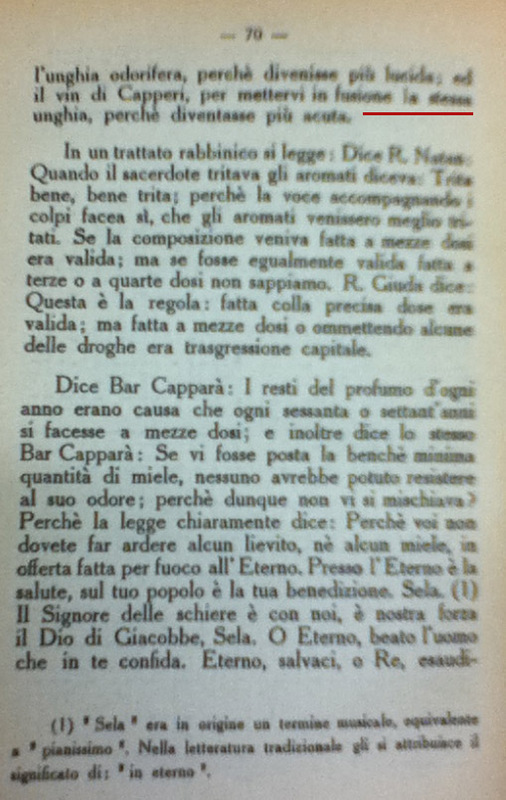 His translation is "eppure l'acqua di Raglaim avrian prodotto l'istesso effetto?" while Shadal's is "eppure le acque del fonte Raglaim sarebbero state piu efficaci?" Same idea, different words. You can see that Fiorentino included a footnote marked (d) - this is one of exactly nine footnotes in the siddur! The gist of what he writes here is that Raglaim are potent, acidic waters. If I understand him correctly he is saying that although this isn't the plain sense of the term, many writers insist that these foul waters were produced by a fountain called Raglaim, which had the potency of the hard root of the Ziporen. Although, as we have seen, the most famous source for this explanation is in the Kol Bo, he does not cite it. Yet in the prior footnote he cites Col Bo in explaining יין קפריסין. More mei raglayim-urine; in the Italian tradition and others. Perhaps this is overkill, but I came across a couple of additional sources on translating or not translating mei raglayim (see part I from 2007 and part II from 6 weeks ago, and part III from 2 weeks ago). As you can see, his translation says "Though mey raglayim might have been adapted for that purpose, it was not used . . . " I came across a certain English mahzor from the 1860s which similarly read "meiraglayim" (one word, no italics). 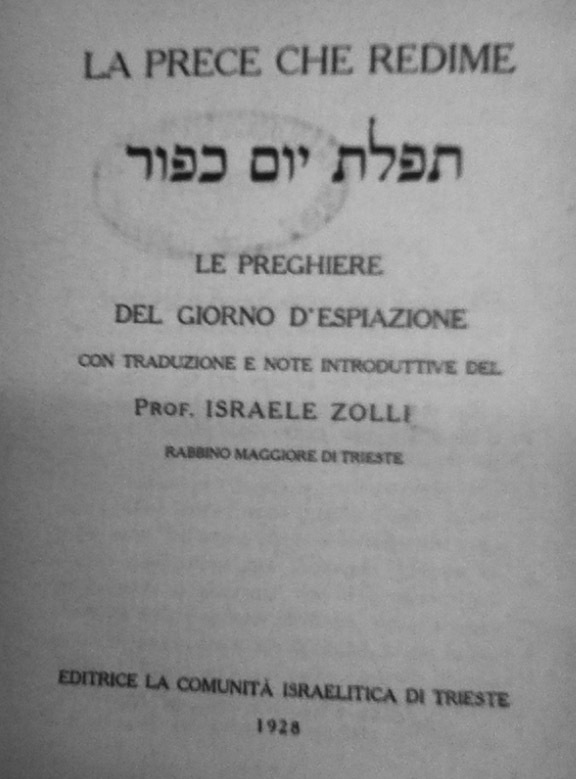 This is interesting because "Prof. Israele Zolli, the Rabbino Maggiore di Trieste" was later the Chief Rabbi (Rabbino Maggiore) of Rome and infamously converted to Catholicism after WWII. In his machzor, although the Hebrew side is quite complete and correct, he simply did not translate anything beyond כדי לשרות בו את הצפורן כדי שתהא עזה. That's what the red line indicates. Problem solved! As you can see, the enlarged letters in the chronogram add up to 581, so this ought to be 1821. To be honest I'm not sure exactly what year it was printed, but it's not a mistake. 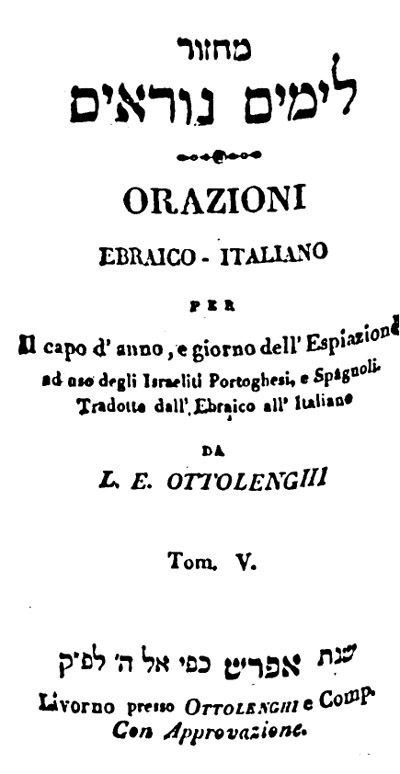 Rather it is a reprint of a machzor with Italian translation that was printed in Vienna between 1821 and 1829. 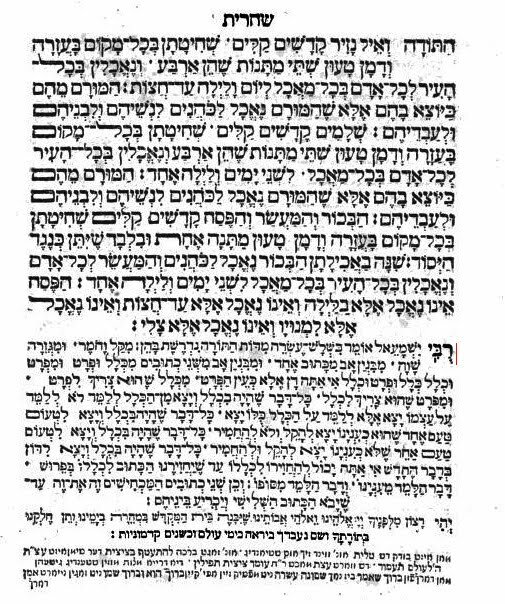 This mahzor was produced as per the requirement of the Austrian government, printed under the name of R. Eliezer Halevi ab"d of Trieste, but translated by his pupil Shadal. With this work the latter began to achieve fame in Italy. 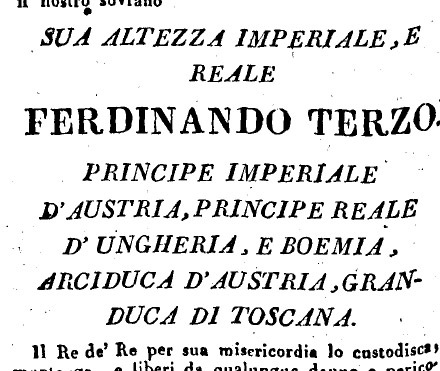 A clue as to the date of Ottolenghi's machzor is the mi sheberach it included, for Ferdinand III, who died in 1824. There has been something of a controversy raging among some of our worshipers on a Talmudic question. It is so gratifying to have such interest, that I thought I might presume to ask you to settle the question. The problem involves the Pittum ha-Ketoret and revolves around the use of the words mei raglayim. From every indication it seems to me and to a number of others that it means "urine," but a couple of men have brought siddurim which actually forbid the reader to think that it could possibly mean mei raglayim mamash. One source suggests that it is a herb with that name and because of that name it was regarded as unseemly to bring it into the azarah. In any case, what is the actual effect of soaking onycha in the "mei raglayim?" What is the basis for translating the Biblical shehelet and the Talmudic tziporen as onycha? Further, how was it permitted to utilize part of an unclean shellfish for such a sacred purpose? Does the term memulah in the Bible mean salted (with the melah sedomit) or spiced in general? Is the latter the proper interpretation of Onkelos' meorav? Has there been any progress made in identifying ma'aleh ashan and kipat ha-yarden? I trust that you, Mrs. Ginzberg, Sophie and Eli are well. Your letter of May 4th reached New York during my absence for several weeks from the city and on my return a sudden inflammation of the eyes got hold of me, which made it quite impossible for me to read a line. Hence the delay in my reply to your letter. Let me first tell you that your letter gave me a good deal of pleasure for the reason that I often have been asked by congregations whether this or that part of the Prayer Book might be left out. I am, therefore, particularly happy to see that you have in your congregation, people whose interest is in understanding the Prayer Book and not in changing it. Actually [regarding] the meaning of [מי רגלים] there can be no doubt that it is to be taken literally. As early as the 12th century, attempts have been made to take the phrase in an applied sense, either the name of a particular well or of a certain kind of vegetable, but the contents speak definitely against all these explanations. My son-in-law, who is a professor of biochemistry at the Massachusets Institute of Technology at Cambridge, informed me recently urea has been used in toothpaste with great success. 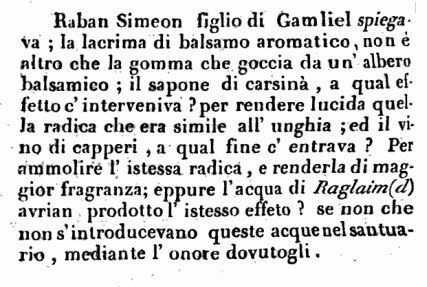 There is, therefore, nothing strange about the statement that they knew in olden times to make some use of the alkaline contents of urea for the purpose mentioned in the Baraita about the preparation of the spices. The most reliable description of the spices used in the Temple is given by Immanuel Low in Die Flora Der Juden, IV (Vienna 1934), pp. 99[-102]. As this is very likely unavailable in Flint, I am enclosing, herewith, a short paragraph from this book which I think you might find very useful. I would like to, at this point, acknowledge Rabbi Dr. Morris Margolies, of Kansas City, whose phenomenal book Samuel David Luzzato, Traditionalist Scholar was a great delight to me. Recently I had an email exchange with his daughter, who told me that she remembers from her childhood that her father, Shlita, lived and breathed Shadal and that Shadal seemed like an extra member of the family! She also conveyed my good wishes to him and the fact that his writings from long ago are enjoyed today, which I greatly appreciated. However, Google errs on the side of caution and countless books which you can download in America cannot be downloaded in Israel or Europe or Canada. But this is not in conforming with their copyright laws. They're just not available, and probably never will. Worse, I have found that many outside the U.S. do not even realize this. I was thinking, what if there was some location where people outside the United States can ask if such-and-such book, which they cannot download in their country, were available on Google? Then an altruistic American could help them. Hm. Make sure not to confuse one Satanow with another. 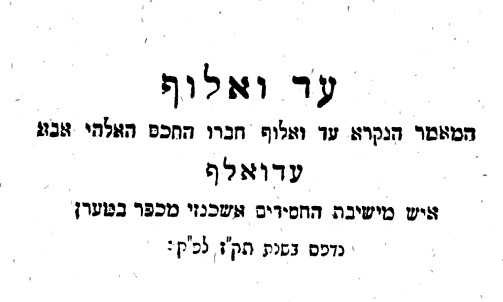 The title page information is almost identical with the book's second edition, famously published in Vilna, 1844 at the impetus of R. Yisrael Salanter. Astute readers will notice that it also credits him with the book Refuot Ha-'am as well as Moda Labina, while the latter alone appears on the title of the 1844 edition. 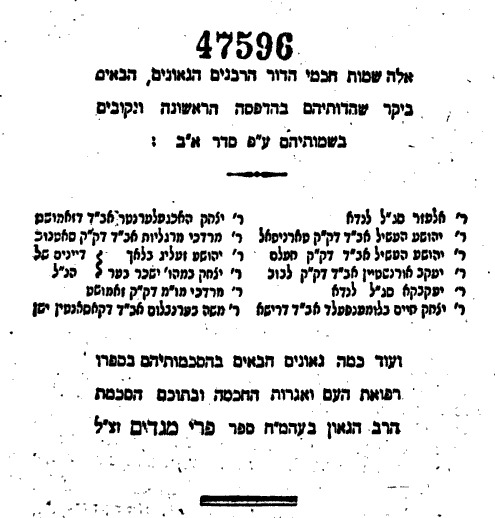 This comes from the title page of the 1937 edition, published by the Association for Slobodka Alumni, which it appears is responsible for removing the word המשכיל, so now it says חברו הרב החכם instead of חברו הרב המשכיל החכם. 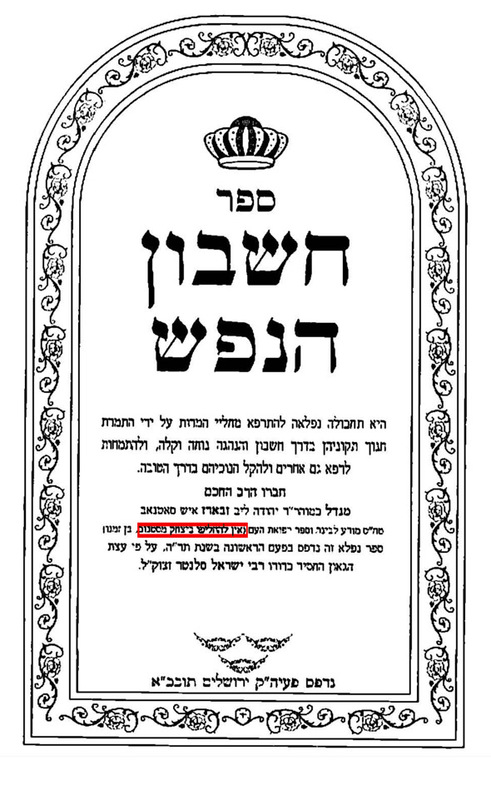 This in turn carried over to the newer edition, which improved upon that and instead of merely identifying the author by name and his other books, it adds ואין להחליפו ביצחק מסטנוב בן זמננו, "Do not confuse him with Isaac of Satanov, his contemporary." Satanov, evidently, has a pretty bad reputation. 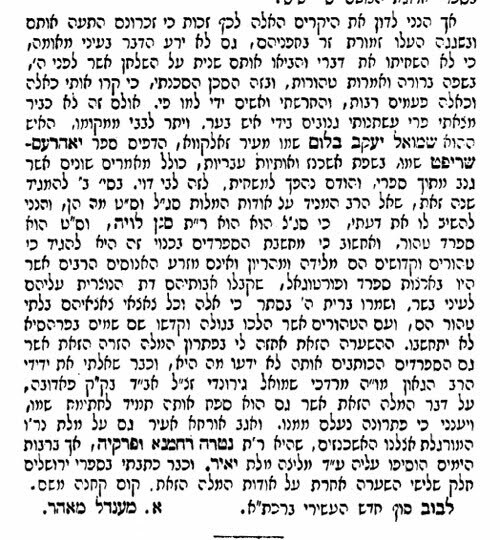 The second Lubavitcher rebbe was quoted in a now-famous letter as quoting his father to the effect that הדעסואי הוא הרע שבנוגה, הירץ וויזל טוב שבנוגה, סטנאב הוא כתר דקליפה. On the other hand, the Pri Megadim - whose haskama to Lefin's 1794 book Refuot Ha-am (which was an adapted translation of Tissot's 1761 popular medical work Avis au peuple sur sa santé - "Advice to People about Health" - is singled out. You can read the Lemberg 1851 edition of this work here. Fortunately Lefin did not translate Tissot's other famous work, L'Onanisme. In 1836 Franz Delitsch wrote of him, "Unter dem polnischen Kaftan, über den sein Bart herabwallte, trug er die feinste Kleidung eines deutschen petit maître . . .," or, "Under the Polish Kaftan, over his flowing beard, he wore the finest German "petit maître" (i.e., highly stylish clothing)." Many writers seemed to take this as a literal description of him, but I am pretty sure that Delitzsch, who gives no source, was born 8 years after Satanow died, and had a romantic and poetic streak, meant this figuratively. Getting back to our first Satanov (Mendel Lefin), please see this post, and this one. 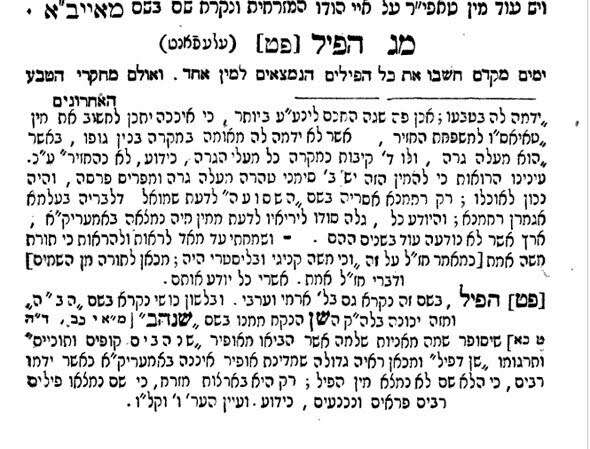 I take everyone's word for it, since R. Yisrael's name appears nowhere in the 1844 edition. However, I'm not certain because there were editions between 1844 and 1937 which I haven't seen and perhaps they merely copied those. A 182 year old piece of ephemera about a definitely non-ephemeral 185 year old Torah scroll. This notice of a raffle of a Sefer Torah written by R. Azariah Figo (1579-1647) is from London, 1829. In Scem Aghedolim the Chida writes: "והיה סופר מהיר וכותב ס"ת כתיבה תמה ואני ראיתי ס"ת מכ"י הקדושה כתיבה מהודרת מאד וס"ת מכתיבתו שוה לע"ע סך גדול." Perhaps the scroll he saw was this one! The Jewish Encylopedia (1906) says "Figo was an excellent scribe, and the scrolls which he wrote are highly prized," which sounds like a fanciful interpretation of the Chida. 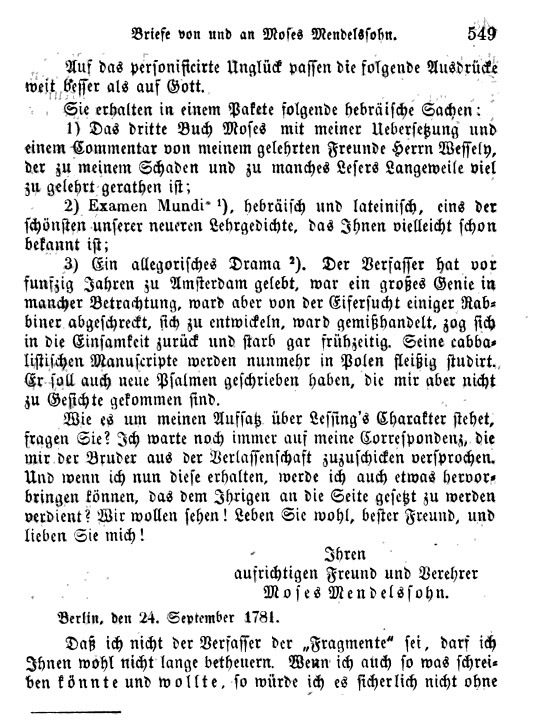 A 1781 aside about Ramchal in a letter from Mendelssohn to Herder. 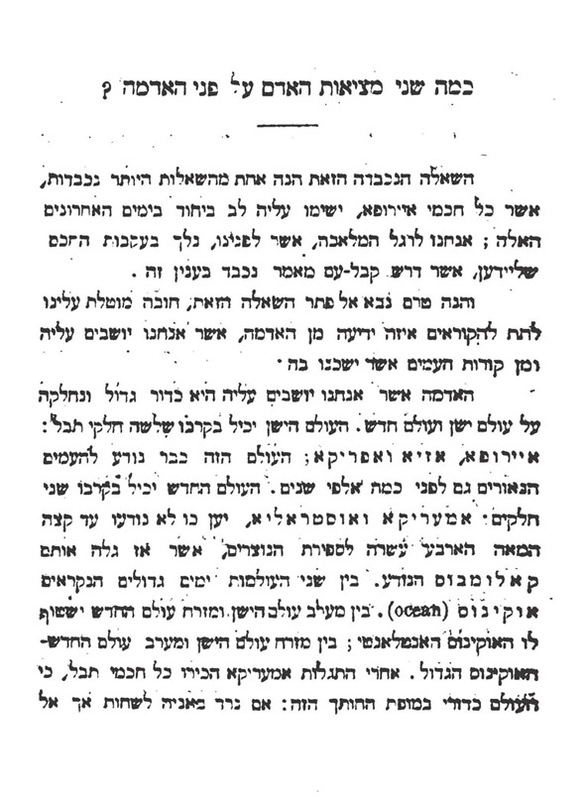 This is a pretty well-known excerpt from a letter by Moses Mendelssohn to Herder, concerning Rabbi Moshe Chaim Luzzatto. "An allegorical drama. The author lived in Amsterdam about 50 years ago, and was a great genius in many respects. He was unable to develop his talents due to the jealousy of some rabbis, and was treated poorly. He retreated into solitude and died before his time. His Kabbalistic manuscripts are today studied intensely in Poland. He evidently wrote some new Psalms, which I have not had an opportunity to see." The "allegorical drama" is obviously לישרים תהלה, which had been printed in a very limited run Amsterdam in 1743, and then reprinted by Mendelssohn's colleague Solomon Dubno in 1780. Dubno had spent several years in Amsterdam before coming to Berlin, and there he became acquainted with the writings of Ramhal through his students, such as David Franco Mendes. He really loved this particular play - which was written in honor of someone's wedding. Dubno reprinted it because it was so rare. He writes that לא הדפיס ממנו רק חמישים ספרים ולא הובאו כי אם אל אוצרות הגבירים הספרדים שבאמשטרדם יצ"ו. Funny how things work - the original 1743 edition, of which only 50 copies were printed, is available online, while the 1780 reprint is not. The reference to the Kabbalistic manuscripts being studied intently in Poland is because Ramhal's Vilna-born Paduan medical student pupil Yekusiel Gordon was responsible for disseminating many of his manuscripts in Brisk and elsewhere in his native Lithuania. 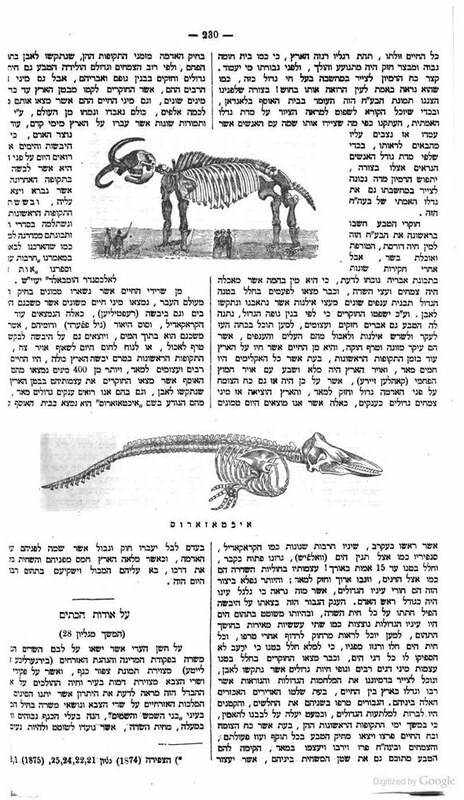 A controversial Hebrew essay on the age of man; also, dinosaurs and mammoths in 19th century Hebrew literature. 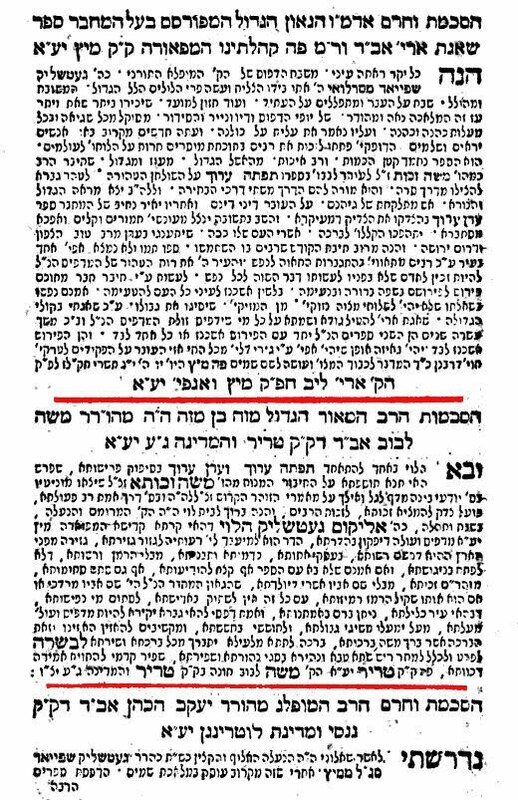 Here's an interesting article that created a bit of a storm when it first appeared in 1865 in Avraham Uri Kovner's book Cheker Davar. Titled ?כמה שני מציאות האדם על פני האדמה, or, How Many Years Has Man Existed on Earth?, the essay explained the point of view of modern science and obviously concluded that the answer to the question is considerably more than 5625 years. 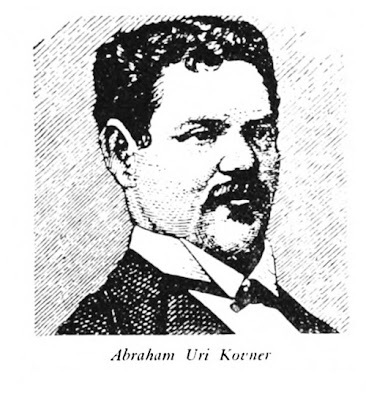 At the time Kovner (1841-1909) was regarded as a sort of literary pain in the neck in Haskalah circles, writing severely critical and disrespectful things about some of its heroes. Furthermore, the moderate Maskilim were religious and Kovner was not. In his early twenties he had already had a failed marriage, Kovner found himself and became an outsider in many ways. Eventually he ran into very big trouble by forging his boss's signature on a check from the bank in which he worked and was sentenced to jail for four years, during which time he initiated a correspondence with Dostoevsky. Eventually he converted to Christianity when he married a young Russian girl whom, I suppose, was not going to go to our side. So it is clear that the progression from science to bank robbery to apostasy is established. 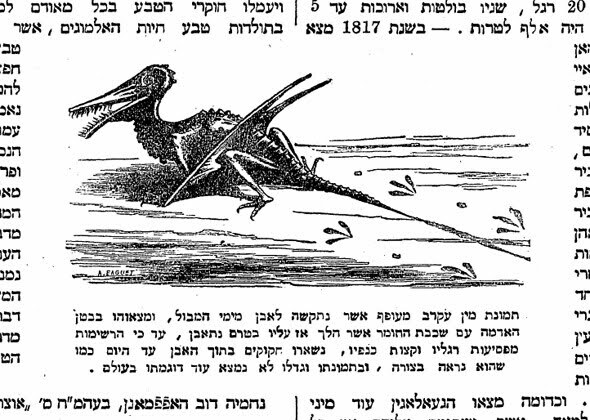 To give an illustration of how unusual his view was at the time, simply accepting the science of geology, consider by contrast the way in which Chaim Selig Slonimsky introduced dinosaurs to the readers of Hazefirah in 1878 - תמונת מין עקרב מעופף אשר נתקשה לאבן מימי המבול, "A picture of a winged scorpionesque creature, which hardened to stone in the Flood." As you can see, without much fanfare Slonimski declared that dinosaur fossils are from the time of the flood. Incidentally I am well aware of Jeffrey C. Blutinger's very good article "Creatures from Before the Flood: Reconciling Science and Genesis in the Pages of a 19th-Century Hebrew Newspaper" (Jewish Social Studies n.s. 16.2 Winter 2010). This just goes to illustrate the you-snooze-you-lose principle, since I had these articles and images on my hard drive before his article appeared (although perhaps not before he was writing it) so it could have been my scoop! In any case, his article is a must-read for the context of these pieces in Hatzefirah and the scientific consensus of the period. Also be sure to read it to find out about how Slonimsky dealt with Darwin (rejection) and how to explain "cave men" if all humans are really the sons of Adam and Eve. The existence of a few giants of abnormally tall men cannot be denied: Moses mentions Og; [Joshua's] spies mention Ahiman, Sheshai, and Talmai; in Samuel we find Goliath and others. Besides the testimony of the Bible, we now see bones of elephants and other [ancient] animals in the bowels of the earth, and scholars say that the animals to which these bones belonged were as large as elephants. It may well be that besides those animals that have been discovered up to now, some human beings as large as "elephants," from our point of view, will be found as well. 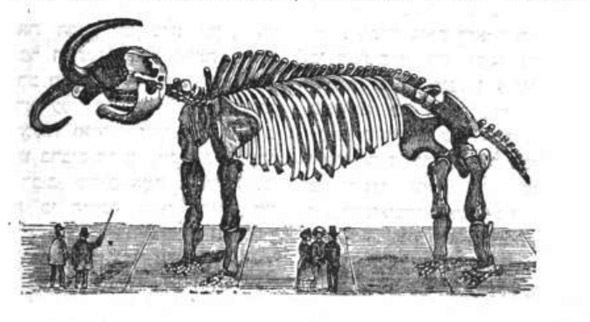 Speaking of elephants, here is a curiosity from 1841. The book is called Toledot Ha-aretz and the author is Joseph Schönhak. It is a natural history book in the light of Torah. It contains letters of blessing from R. Jacob Zvi Meklenburg, Slonimsky's father-in-law Abraham Stern, and approbations from four rabbis. As you can see, the author explains that the Hebrew word for elephant, pil, is also the name for this animal in Arabic and Aramaic. However, in Ethiopic it is called "habah" and it from this that Hebrew derives its word for the elephant's ivory tusk, shenhav. (He means to say that it's a composite of the Hebrew word shen, tooth, and the cognate term hab, which means ivory in a related language; however, in an Amharic dictionary I found that it says that tole or nage is the word for elephant). This is in accordance with what is written in I Kings 10:22 and II Chronicles 9:21, that Solomon imported shenhabim, ivory, from Ophir. (This is a strange mistake. It says that he imported gold from Ophir, but ivory from Tarshish.) The Targum translates shenhabim as "an elephant's tooth." Here is a powerful proof that the land of Ophir is not in America (עמעריק"א) as many believe, because there are no elephants to be found there; elephants are only in eastern lands. Ironically, mammoths were discovered in America, as R. Lipschutz's pointed out only 4 years later - in Baltimore, in 1807. Of course that isn't relevant to Kings Solomon's time when, presumably, there were no elephants in America. Of course the Bible said that the ivory came from Tarshish . . .